The San Jose Blog: SoFA Street Fair this Sunday! SoFA Street Fair this Sunday! 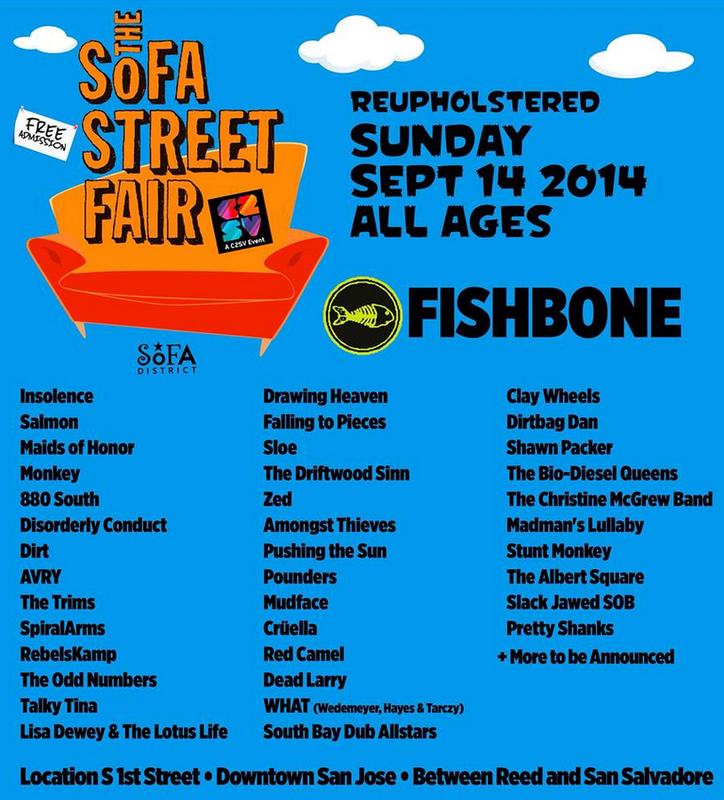 The SoFA Street Fair is a free, all-ages music and art festival on September 14th. Three outdoor stages and multiple indoor stages will be setup throughout SoFA with dozens of performances from noon to night. 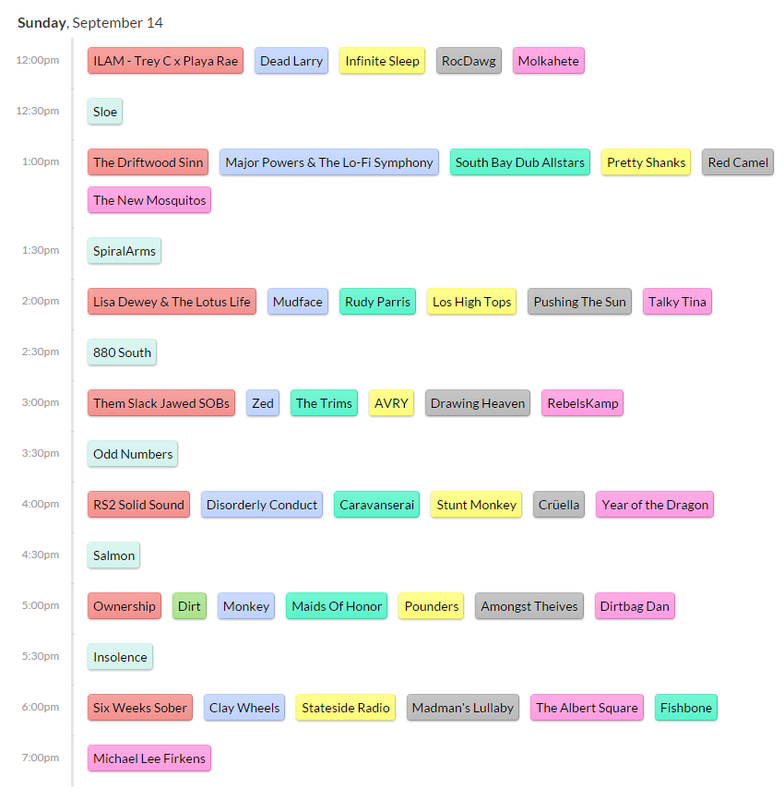 You can see the musical schedule below. For more information click here or here. Thanks for advertising the car show, Josh...we found out about it here on your blog and had a really fun time.